Xpert Decorators - Painter/Decorator based in Bedlington, Northumberland. 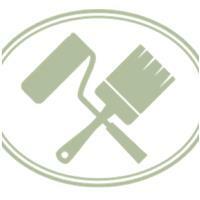 Here at Xpert Decorators we provide a professional service that covers all aspects of painting & Decorating. You can rely on our services to be friendly and we go beyond our job description to make sure we exceed our customers expectations. Based in Bedlington, we provide our services across the whole of the north east. Our work is at the highest standard with a minimum amount of disturbance. There is no job to big or small so why not give us a call for your free estimate today.